Johnny Six ’97 is no stranger to the damage that natural catastrophes can wreak on a population—or to the ongoing and insidious toll that poverty takes on children. In 2005, as a young doctor, he traveled to New Orleans to provide medical assistance shortly after Hurricane Katrina devastated the region. This January, after learning about the 7.0 magnitude earthquake that killed more than 200,000 and injured more than 300,000 in Haiti, he did what so many Americans wished they could do: find a way to help. 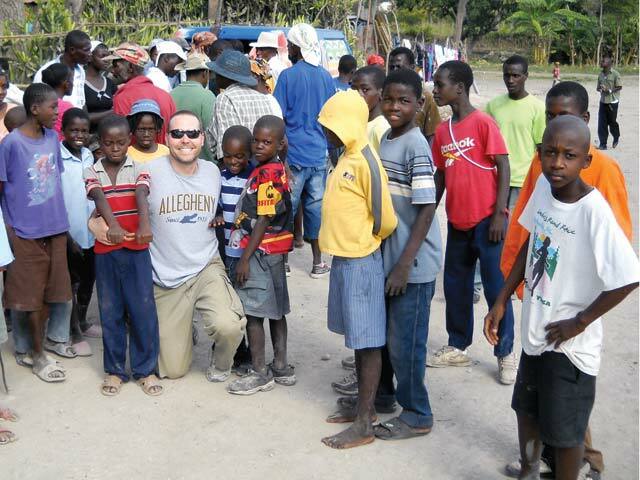 Planning was made easier because one of Six’s partners at his medical practice in Claysville, Pennsylvania, Fred Landenwitsch, had been to Haiti several times on medical missions to La Croix and surrounding villages. The two doctors coordinated their efforts through Friends of Haiti, a nonprofit organization that supports the New Testament Mission in La Croix, about seventy miles north of Port au Prince. With another physician, a dentist, three nurses, and seven lay medical assistants, Six and Landenwitsch made the trip to Haiti in early February. “Our trip was for seven days,” Six says, “although not nearly long enough to provide the care that was needed so much either before or after the earthquake.” Although Six and his colleagues had started planning a trip to Haiti months before the earthquake, the magnitude of the natural disaster heightened the urgency and sharpened the focus of their mission. Using the New Testament Mission as their home base, the team began each day by packing bags of medicine, wound dressings, intravenous fluids, antibiotics, multivitamins, and nutritional supplements before traveling to nearby villages. The team was also able to provide nutritional counseling and supplements to pregnant women, as well as assess the general health of their unborn babies by using a hand-held Doppler monitor to listen to fetal heart tones. 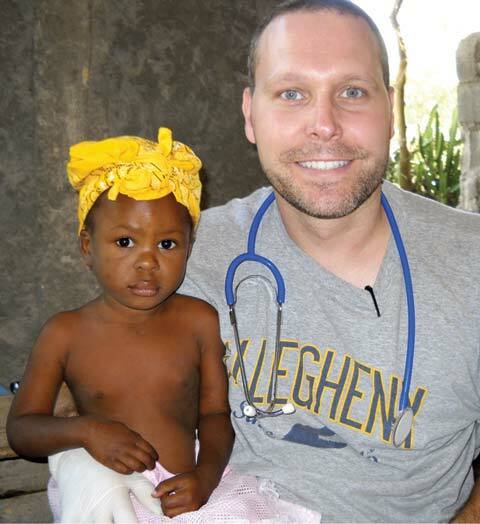 Six, who is a member of Allegheny College’s Alumni Council and immediate past president of the Washington County Medical Society, says that the medical mission was one of the most rewarding experiences he has had, either professionally or personally. He hopes to continue his in-volvement in providing medical care to the poor in Haiti.